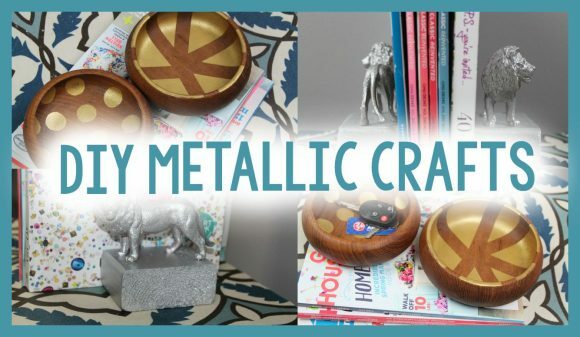 Metallics are super trendy these days, and our friend Tanner from A Little Craft In Your Day recently shared a couple of organizational projects that involve metallic paint. These projects – painted wooden bowls and animal bookends – would be great for DIY dorm decor! Look for the plastic animals at the dollar store, and check yard sales and thrift stores for wooden bowls on the cheap. See how he made both projects in the YouTube video below, or visit his YouTube channel.